Over the past couple of weeks, the smartphone game Pokmon Go has more than doubled Nintendos share price and reintroduced the Pokmon Co.s digital monsters to the mainstream. The games developer, which released it in partnership with those companies, is a relative unknown. 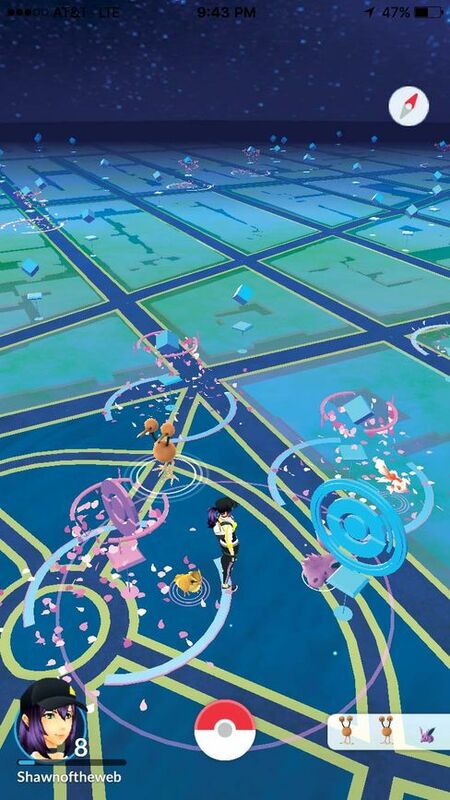 Niantic, a San Francisco startup with fewer than 100 employees, developed Pokmon Go and the mapping technology that allows the game to layer digital creatures over real-world environs. Mapping has long been a specialty for Chief Executive Officer John Hanke, who helped lay the groundwork for Google Earth with his previous company, which the search giant acquired in 2004. Hanke, a lifelong gamer, made game-world mapping of the real world his focus when he launched Niantic as a startup within Google six years ago. Niantic spun off on its own last year, though Google remains an investor, alongside Nintendo and the Pokmon Co. In Ingress, the playing field is based on real geography and landmarks that players battle to control. Its great to be an armchair traveler with Google Earth, but my mind turned to how you could transfer that experience to mobile to make it easier to discover new places, Hanke says. By using the locational tracking built into players phones to encourage them to congregate in certain places to look for Pokmon, Niantic is prying gamers off their couches. Our intent, he says, was that people would become aware of their surroundings, accidentally. 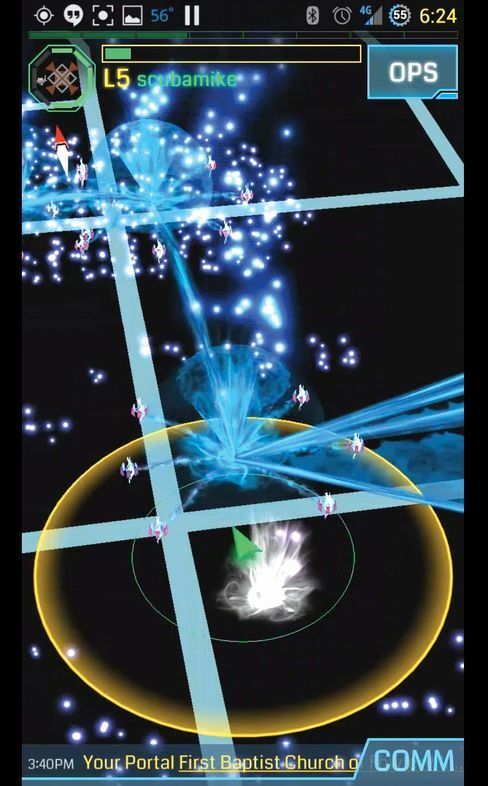 Niantics first game, Ingress, released in 2012, used similar mapping mechanics with more sci-fi flavor. Players would pick one of two teams that met up at real-world landmarks to capture or defend them, like a building-centric version of Capture the Flag. The free game has been a modest hit, with 1 million active users. Pokmon Gos success is on another level. Its been one of the most popular downloads on iOS and Android since its release, and by some analysts estimates it has been downloaded more than 20 million times. It runs on a freemium modelno charge to play, but players will have an easier time if they pay a couple of bucks for virtual items that help them advance. In Pokmon Go, players must physically travel to landmarks, called PokStops, to collect items and capture creatures. Here, a player stands between two PokStops and three monsters in Madison Square Park. Hanke says Niantic also plans to sell sponsorships, allowing stores to pay to become PokStops, where players can gather items, to boost their foot traffic. During the games first weekend, on July 9-10, it blew up, says Jeff Pray, senior vice president at marketing agency Starcom MediaVest Group. It was the No. 1 topic at my Monday meetings. 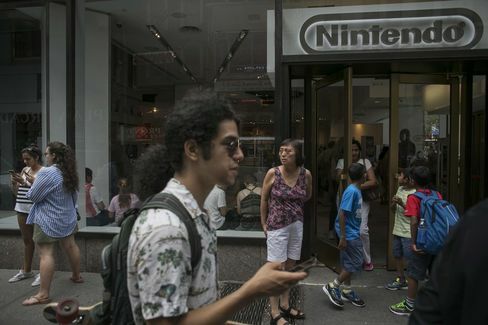 Piper Jaffray analyst Michael Olson says Niantic has created a gaming genre and that other companies will soon follow with copycat games featuring popular existing characters. Popularity doesnt necessarily mean longevity. Pokmon Go drains a lot of battery power and wont be much fun in cold weather, says Wedbush Securities analyst Michael Pachter. He compares the game to Draw Something, a megahit app that also notched 20 million downloads in a few weeks during 2012, but has since been dismissed as a fad. People just got bored with it, says Pachter. Hanke says Niantics focus has always been its underlying technology, not any one game, and the success of Pokmon Go has already attracted partners interested in using his mapping software for projects of their own. Maybe you want to build a real-world vampire game where you control a clan of vampires and battle with other clans of vampires, he says. You could invest in re-creating our core technology and all of our data, which would require a fairly large team of very sophisticated Ph.D.s, or use our platform. In the meantime, Pokmon Gos popularity shows no signs of dying down, and Niantic plans to add a Pokmon-trading feature to keep superfans interested. Unlike with most games, theres little chance of reaching the end of the road, Hanke says: If you want a new level, you can hop in your car and go to the next city. The bottom line: Niantic plans to take advantage of Pokmon Gos success by licensing its mapping software to other developers.